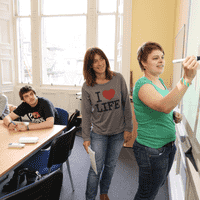 BSC Edinburgh is Scotland’s leading EFL/ESOL teacher training centre, and the only school in Scotland offering both CELTA (Certificate) and the advanced DELTA (Diploma) courses. Be ready for the unexpected – our innovative courses are carefully designed to foster a friendly, supportive and creative atmosphere, and to push you to become the best teacher you can be. 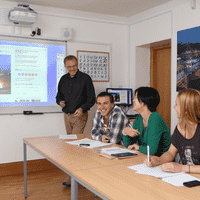 Our CELTA includes a unique one-to-one teaching module alongside the usual group classes, with opportunities for assessed and unassessed one-to-one teaching. Trainees learn to make effective use of the latest teaching technology, and we provide careers guidance and support for job applications, during and after the course. BSC Edinburgh boasts one of the best-equipped and most beautiful teacher training suites in the UK, with spectacular views of Edinburgh castle, a flourishing indoor garden, a lounge and kitchen area, a specialist library with dedicated printing and copying facilities, a study area with computers, and separate classrooms for teaching practice. Trainers are always on hand in the training suite, ably assisted by our mascot, Theodore the pig. We put trainees in direct contact with recruiters during and after the course. In addition we offer guidance on where to find jobs, and advice on choosing the best school for you. We are happy to provide career guidance and coaching after the course if you need it. 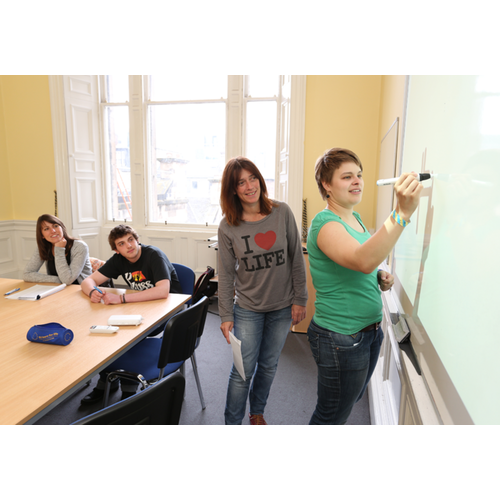 Student accommodation and hotel accommodation can be arranged through the school, at some of the most competitive rates in Edinburgh. If you need to change your plans more than two weeks before the course starts, we are happy to move you to a different course in our centre for no extra charge. Once the fees fall due two weeks before the course begins, refunds are not normally possible, and it may not be possible to postpone your course. Renowned for centuries as a centre of culture and learning, and still a haven for writers, thinkers and creatives of every sort, Scotland's capital is one of the greenest and most beautiful cities in Europe. The school is located in the heart of the city centre, within five minutes’ walk of Waverley Station and bus connections to all areas of the city. There are dozens of cafes and restaurants nearby, including one just downstairs. 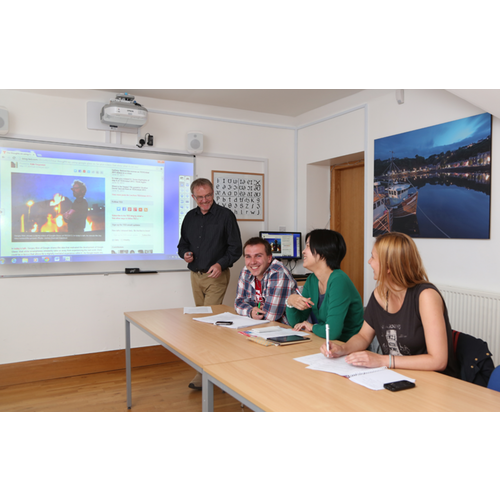 The training suite has spectacular views of Edinburgh Castle and the Old Town, and it’s a short walk to the city’s many famous parks, hills, and open spaces, including Princes Street Gardens, the Botanic Gardens, Calton Hill, Holyrood Park and Arthur’s Seat. In order to provide you with the best service possible, BSC Edinburgh needs to know a little about your specific situation. If you have questions, please first select a course from the list on the this page. You can always change course dates later. Great course with lots of support and fun! The tutors are fantastic! They‘re extremely supportive, caring, passionate, hard-working, professional, approachable and encouraging! 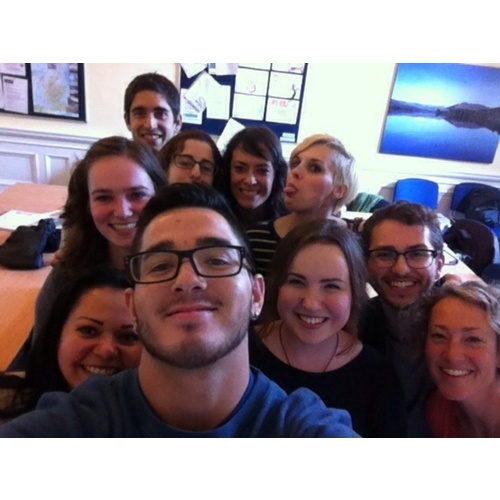 The CELTA course structure at BSC Edinburgh makes sense and the workload is manageable. The facilities were allright but internet access and classroom computers were terrible. Just completely amazing - I had the best time and I love the tutors and everything about the course. CELTA has been an invaluable experience full of many positive memories. The whole course was very informative and with a fair amount of work yet manageable when you apply yourself. 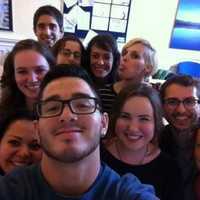 The tutors are of excellent support whenever needed and they always make time to help. It's impressive to see how genuinely they give up their own time to help every candidate. They are both great professionals and the atmosphere they create in the school is beyond words. They make everyone feel they are part of a family! Lastly, it's so admirable to see such a great colleague relationship like theirs. They really are working together so well and they are not just colleagues, they have genuinely built a report between them that is hard to be found nowadays in workplaces. A challenging and fun experience. I have thoroughly enjoyed input sessions and teaching practice and in such a short time, gained so much confidence! I’m really looking forward to my future career and will miss not only the great views but the incredibly tutors! I loved the whole experience! Getting to study with such great people, great teachers and great students... I feel lucky to have won all three. It was intense & hard hard work, but I had a great group of fellow students and awesome tutors.. Also we had the loveliest language learners to practise teaching on! Now I've had some sleep it was an amazing month! I had a great experience. Everyone was very helpful, especially when there was maintenance going on in the building. I would definitely recommend this location to take the CELTA course.